An example of one of these programs in the Boise area is the Finally Home! ® program at Idaho Housing and Finance Association. Completion of the classes in the program may help first time homebuyers qualify for down payment and closing cost assistance and may also allow entry into programs that accept higher debt to income ratios. To locate programs in the Boise area, or even in nearby locations, first try searching under variations of “home buyer assistance 2015” plus the name of a specific area neighborhood, your specific city (Boise, Meridian, etc.) or just Idaho in your favorite browser. Make certain you include the year so that you find programs available in 2015. Next, go to HUD.gov. There you can find a database of programs offered by cities, counties and states across the U.S. Type some version of “home buyer program” and Idaho, Ada County or Boise or Meridian in the search box. You will retrieve a list of links to various programs available in given areas. This electronic database is not organized in any specific way, so you will need to research each link, but the types of programs and incentives available may be just what you need to move into the homeownership category. As real estate professionals, we know what is available in the Boise area. 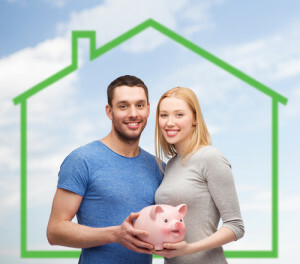 If you are a first-time homebuyer or are looking for help getting back into the housing market, let us know when you call us so that we can connect you with the programs that best meet your needs.